Two weeks ago, a New York girl's father got an email from a fisherman's son in Morocco, saying they found the message. Greg Cergol reports. 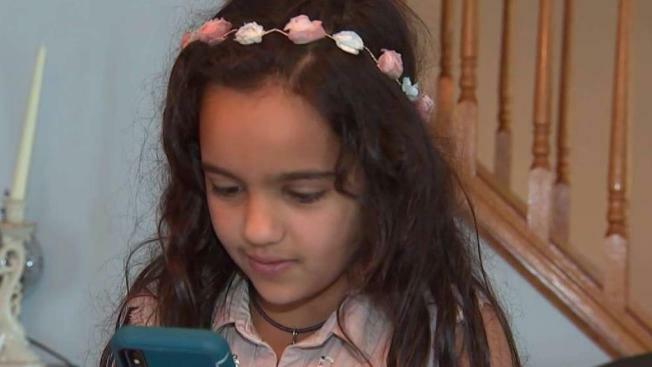 A young Long Island girl and her family has forged an unlikely transatlantic friendship three years after she dropped a message in a bottle into the Atlantic Ocean. Shiloe Khkohar was 6 years old on a family cruise to Bermuda in 2015 when she decided to print a note, roll it into a bottle and drop it in the ocean. "I want to wish you a happy, healthy life," read the note in all-caps, accompanied by a gift from Shiloe, a crystal from upstate New York. She ended her note asking anyone who finds it to contact her dad by email. "Honestly I didn't think it was gonna go anywhere," her father Imtiaz Khokhar told News 4. That doubt evaporated two weeks ago when Imtiaz Khokhar opened an email from someone in Morocco. The bottle had been found by a fisherman, a father of a five named Hassan Elbaz. Elbaz didn't speak or read English, so his son contacted the Khokhars and sent photos through social media to confirm that the message in a bottle had been delivered. "He goes, 'Is this you?'" Imtiaz recalled of his conversation with Elbaz's son. "I said, 'Yeah, it's me!'" Shiloe's mother, Wendy Khokhar, said, "He was saying he couldn't believe a 6-year-old sent that message. But that's Shiloe, she's a sweet kid." "There are so many things that could have happened," said Shiloe. "It could have hit a rock or something." The bottle that traveled nearly 3,000 nautical miles has now brought two families together, and the Khokhars hope to follow the bottle to Morocco later this year. "They sent us pictures of the mom over there, the siblings, and now he keeps saying he can't wait to meet us," said Wendy. It really is a very small world, the Khokhars said -- something their now 9-year-old daughter seems to understand already.